Interventional pulmonology (IP) is an evolving field with substantial technological progress during the past decade. These advances should be accompanied by efforts to validate their use in different patient populations and improve patient care. An area of significant progress and novel challenges is the diagnosis and management of solitary pulmonary nodules (SPN). In the last couple of months, the appearance of robotic technology in bronchoscopy has opened yet another area of research. Robotic bronchoscopy has a few advantages over other platforms. In theory, it should allow access to visual inspection of peripheral lung nodules that are in proximity to the pleura, it should enable the physician to perform the procedure at a distance from the patient, and it should minimize the limitations of the hand-held bronchoscope for complex navigation in convoluted paths. These theoretical advantages, when coupled with better imaging technologies such as cone-beam CT, uncover new applications for the interventional pulmonologist. 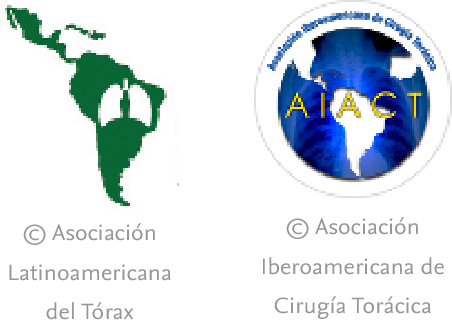 We envision the future as a one-stop-shop bronchoscopic approach, where we can first stage by sampling the mediastinum and hilum, then navigate to the peripheral nodule for diagnosis, and lastly treat by ablating the tumor using different types of energies. In conclusion, significant progress has been recently accomplished in diagnostic and therapeutic techniques for SPNs. These new technologies appear to be promising but await further clinical studies to confirm safety and efficacy in a broader population. Each of these technologies will require independent testing for safety, efficacy and generalizability before they can be widely used. Likewise to medications that require independent safety and validation, new bronchoscopic technologies will also require thorough testing before widespread implementation. V.K. Patel, S.K. Naik, D.P. Naidich, W.D. Travis, J.A. Weingarten, R. Lazzaro, et al. D.R. Aberle, A.M. Adams, C.D. Berg, W.C. Black, J.D. Clapp, National Lung Screening Trial Research Team, et al. D.R. Aberle, F. Abtin, K. Brown. Computed tomography screening for lung cancer: has it finally arrived? Implications of the national lung screening trial. Role of bronchoscopy in the evaluation of solitary pulmonary nodules. M.D. Cham, M.E. Lane, C.I. Henschke, D.F. Yankelevitz. J.S. Wang Memoli, P.J. Nietert, G.A. Silvestri. Meta-analysis of guided bronchoscopy for the evaluation of the pulmonary nodule. S.J. Khandhar, M.R. Bowling, J. Flandes, T.R. Gildea, K.L. Hood, W.S. Krimsky, et al. Electromagnetic navigation bronchoscopy to access lung lesions in 1,000 subjects: first results of the prospective multicenter NAVIGATE study. F.J. Herth, R. Eberhardt, D. Sterman, G.A. Silvestri, H. Hoffmann, P.L. Shah. Bronchoscopic transparenchymal nodule access (BTPNA): first in human trial of a novel procedure for sampling solitary pulmonary nodules. D. Harzheim, D. Sterman, P.L. Shah, R. Eberhardt, F.J. Herth. Bronchoscopic transparenchymal nodule access: feasibility and safety in an endoscopic unit. L.B. Yarmus, S. Arias, D. Feller-Kopman, R. Semaan, K.P. Wang, B. Frimpong, et al. Electromagnetic navigation transthoracic needle aspiration for the diagnosis of pulmonary nodules: a safety and feasibility pilot study. K. Harris, J. Puchalski, D. Sterman. Recent advances in bronchoscopic treatment of peripheral lung cancers. Q. Lu, W. Cao, L. Huan, Y. Wan, T. Liu, Q. Cheng, et al. CT-guided percutaneous microwave ablation of pulmonary malignancies: results in 69 cases. C. Kim, C.D. Hoang, A.H. Kesarwala, D.S. Schrump, U. Guha, A. Rajan. Role of local ablative therapy in patients with oligometastatic and oligoprogressive non-small cell lung cancer.